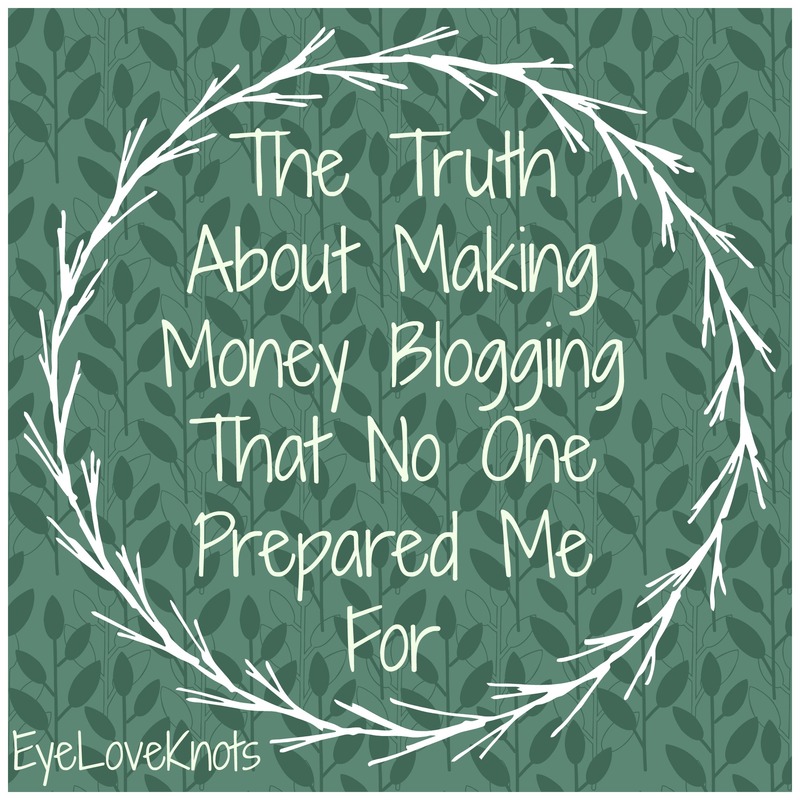 Monetizing your blog is easy, making money off your blog is the hard part! It has been a long, hard, trying journey for me, and still, I struggle making money from my blog. Being newly engaged, paying for my half of the wedding (plus a few little things, like my dress and the cake), and only working part time, I found myself struggling more with my living paycheck to paycheck situation. I was feeling for a little bit like I was almost there with my blog, and finally might be able to start earning part time income, which would allow me to be able to stress a little less, but that did not come to happen for me, and discovered recently, still a long time off. I want to tell you the truth about making money blogging that no one prepared me for, and the real struggle (from my experience). 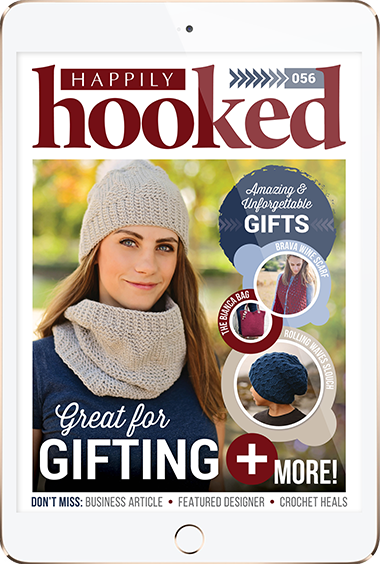 This year, I became an affiliate for Happily Hooked Magazine/The Pattern Pack Pro, Leisure Arts, LoveCrochet and recently, Annie’s Catalog. To become an affiliate, you have to apply for the program, and then once approved, copy and paste the html code somewhere on your blog (or newsletter, or social media) to advertise. The html code you receive is unique to you, so the company will know you are the one that directed the traffic. Clicks don’t generate any income, but if a purchase is made, a small percentage is earned at no extra cost to the buyer. You may notice on the right hand side of my blog, you see [currently] a beautiful shawl, with a caption about Annie’s, then a little further down, the front page to the current issues of both Happily Hooked Magazine, and the Pattern Pack Pro, also with captions. This is one way I advertise, and I also write pattern reviews with my unique code linked, as well as share WIP photos on social media and in my newsletter with my unique code. You could always just share a photo of the product with your unique code, but I like to do the reviews. In the entire year, I have only earned $12 from Happily Hooked Magazine, which pays monthly, and $4.50 from Leisure Arts, which I have no received because they have a threshold (forgot what it is, but I haven’t met it yet). I do put together ad-free, printer-friendly PDFs of all of my free crochet patterns, and sell these for $2 in my Etsy, Craftsy, [some] Ravelry and LoveCrochet shops. The fee is put in place to help offset the loss in views when one no longer needs to return to the blog to view the pattern, but it also helps offset the time spent writing up and editing the pattern. Craftsy and Etsy are my most popular shops, and I make about $20 a month. I used to be a contributor at The Stitchin’ Mommy. 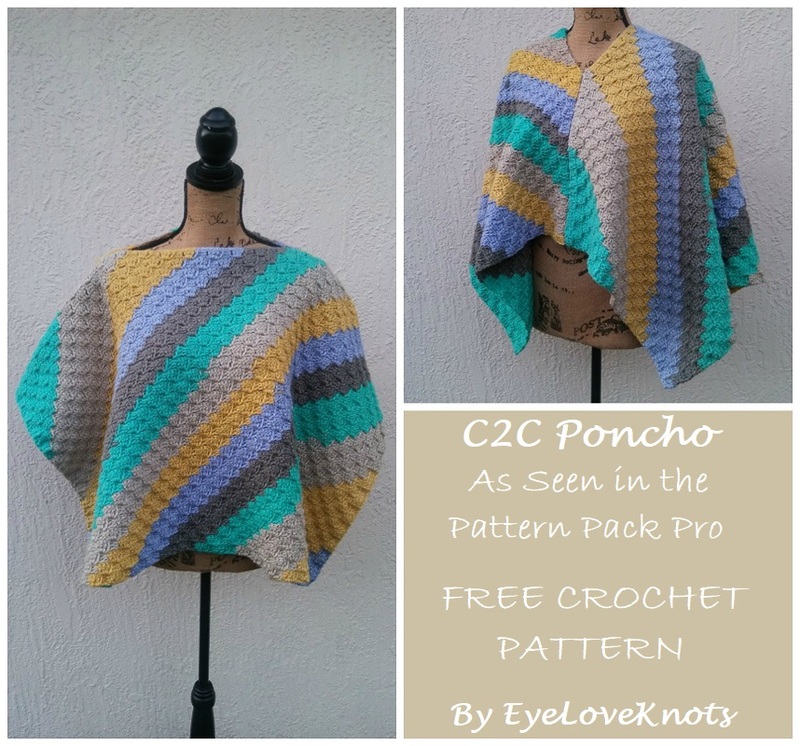 I shared a free crochet pattern once a month on her blog. This was supposed to help her out, and bring me new followers, but it really didn’t get me very far from where I was, and I did it for free. It lasted almost a year. Now, some blogs pay for contributions, and for them, you have to apply. I only know of a handful, and I haven’t been accepted by any. Magazines on the other hand, I have had the pleasure. I am sure you have seen several posts for patterns I have had in both Happily Hooked Magazine and the Pattern Pack Pro. 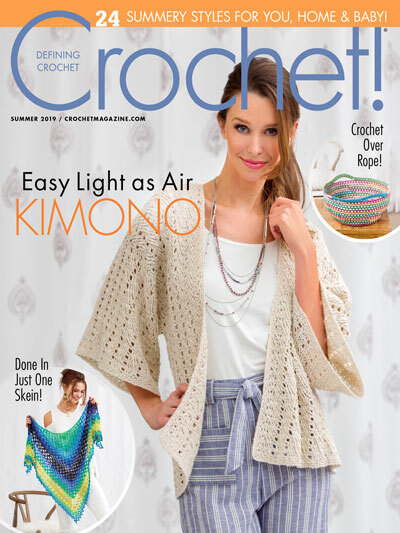 For these magazines, they pay between $40 and $75 for the full rights to your pattern for two months, and then you get your rights back, and can sell, or publish on a blog. I have had some designed accepted here and there, but not for a long stretch (two months in a row only), and usually for around $50. Definitely a big help when a design is accepted, and the magazine is published, but this is also something you have to prepare for MONTHS in advanced. I haven’t submitted anything in awhile for personal reasons. 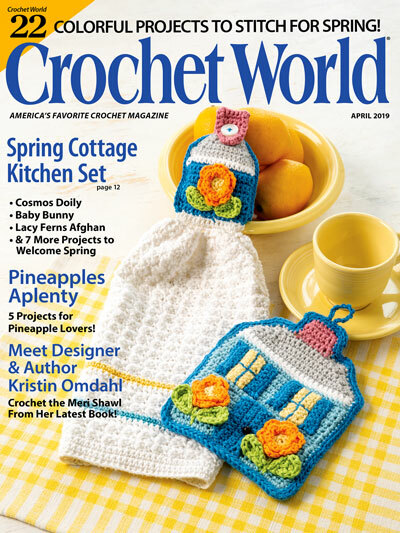 Another option – one that I haven’t pursued, is writing for bigger magazines, like Crochet! and similar, but these magazines take the full rights to your pattern, and I don’t feel like I am at a point yet that I am comfortable losing the rights to my posts. They do have a bigger payout though. Now that I have told you about how I earn a little, is it what you expected? Not what I expected at all when I started trying to earn money blogging, but I work real hard for it. I want to share a little about my expenses, and a goal of mine. I think I got all my expenses, not cheap! They say you have to spend money to make money. I am definitely spending it, and only making a little right now. This can be very frustrating. Goals are important. They give you direction, and help you build, and give you satisfaction when you reach them. They are sometimes really hard to see, and this can lead to even more frustration, and sometimes giving up, but don’t! I can’t tell you how many times I have thought about throwing in the towel. 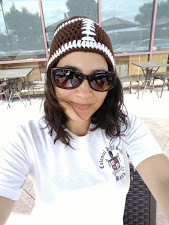 I truly love blogging, crafting and crochet designing, but I have wanted it to be my career for a while now, and I am struggling really hard to make it there, which makes it difficult to continue sometimes. In December of 2016 I learned about a different ad company (not really an ad company, but a company of investors that pay to put ads on your blog? Something like that…) called Mediavine. After reading that some bloggers were makings hundreds, and thousands of dollars using this network, I wanted in! And I applied. I was denied because at the time, you needed 30,000 pageviews to qualify, and I only had 8,400 – at the time though, I thought I had 30,000 because that’s what it said on my Blogger Dashboard. I learned this is not accurate, you must check your Google Analytics for an accurate number. This is where I discovered I was only at 8,400. FINALLY! Last month (October), I reached 25,000 pageviews per month. I was beyond ecstatic, and super proud of myself for getting there, only to find out that the rules to qualify had changed a little. It wasn’t 25,000 PAGEVIEWS per month, it was now 25,000 SESSIONS per month. First off, I had to ask where to find this number in Google Analytics – it’s under “Audience” and then “Overview”, and second, 25,000 pageviews only amounts to about 15,000 sessions per month. Ugh! This really bummed me out to learn, and made me stop and revisit the way I was blogging, think about if I wanted to keep blogging, how I would continue from now on. I have been feeling the whole time like it was growing closer to my fingertips, until last month, when I felt like I was just being teased because it was still so far away. It’s very disappointing, and I did take a little step back to work on doing things a little different, which has really made me feel better as a whole, like I am getting more accomplished (even outside of crafting), and doing more for me, which really is a plus. I am focusing more on my designs in hopes of being accepted to some more magazines next year (have to really plan ahead), and been sharing more reviews on the blog lately. My numbers may suffer a little from this change, but eventually I will meet my goal without having sacrificed myself too much, and finally have another part time income (or maybe career change to blogging/designing full time) when I get my numbers up high enough. A girl can dream – and definitely should! I wrote this not to discourage you, but to share with you what no other blogger shared with me. I read a lot about the successes they were having, how much money they earned from blogging, and heard “you’ll get there in no time!” from my fair share of people, but I wanted to share an honest outlook. Hope it helps! And I wish you the best of luck! I admire your dedication and passion for what you do. Thank you for sharing your ups and downs in the blogging business. Keep up the great work. So kind of you – thank you, Theresa! This is very interesting! Thank you for sharing your real numbers and struggles. I too love crafting and yarn in general. I have thought that a craft blog would be great. Lots to ponder!! Welcome! Just trying to be real. I have visited your blog, and see you already have a section for crafts. You could just expand it, rather than start all over. Move a few things around, and you have a nice, well rounded blog that brings people in for different reasons. I have always enjoyed being about to share my crafts with the world – it’s a beautiful community. Very interesting indeed. I’ve always questioned those articles about “earning thousands with blogging” etc. and you kind of proved my suspicions were right. Thank you, dear Alexandra, and be good to yourself! Oohh a massage sounds amazing! I admire how much crocheting, and blogging you get in. For the new year, I want to be more like you – get more projects done. I too have thought about blogging. I was not too sure how to go about it. But since I have seen this, it has opened my eyes about it. If you just want to get a feel about it and to get a few dollars here and there – then it would be a good thing to do for the experience in writing. But to have it as a full time income – then I don’t think I would do it. Thank You for sharing this. No, it definitely takes a lot of time to become full time work, but it is fun, and a great way to document your crafting endeavors, and meet new people. I truly enjoy everything about blogging, crafting and designing, just wish it wasn’t so hard to make a decent amount. Thanks for your honesty here Alexandra, it’s tough isn’t it? I occasionally read those posts where people share big incomes but I’m sure for every one of those there are hundreds of us just off setting our costs! Ugh, lol. Tough it is! Very true! As my grandpa says, “Casino’s aren’t run on winners.” Different place, but same idea. I totally hear you on this. Thank you for making me realize I’m not the only one having these issues. I’m so glad you could join The Really Crafty Link Party this week! I enjoy coming over to the Really Crafty Link Party, and totally appreciate that you stop by to comment on my posts every week – thank you! And no, you are definitely not alone. I felt that way too, and then I posted this, and it seems there are LOTS of bloggers struggling just like us. Alexandra- thank you for this honest and heartfelt message. I appreciate you bringing clarity to a situation that is on my goal horizon. My hope is to create an income stream of $1M – $2M per month as a supplemental income when I retire. I am seeing now, based on your post, that it may not be as easy as I had thought. As they say….well-armed is well-prepared! Congratulations on your wedding and best of luck with your blogging future. I am impressed by your willingness to jump in, create your plan and do the work. That alone is so valuable!!! For me, reading success stories kept me hopeful, but after researching, and learning, and seeing, I am not so hopeful. You can always design for magazines as a nice side gig (if you need some ideas of where you can submit, try visiting a book store 🙂 ). Thank you for your kind message. Good luck with your goal as well! Thanks for this article. Making money from blogging is definitely difficult and not a simple thing that some people make it out to be. Thanks for sharing at the Friday Frenzy! Yes, one of those easier said than done things. Thanks for dropping me a line, Amy! Everybody, generally give such a rosy picture of how they are earning heaps of $$$ from their blogs, so it was refreshing to get a more honest side as well. I too have been blogging for almost a decade and I am still on the fence when it comes to monetising my blog. I find, I spend less time designing projects (crafts) but more time, taking photos, editing them and then formating and filling the content on my blog – it is so time consuming (almost like a full time job but I have done nothing to make money out of it – (my fault – ofcourse) ) I suppose, I am waiting for someone to take my hand and show me the path – and I guess, I’ve waited long enough – and its NOT happened. I hope, I get the push (kick) to work on monetising my blog. Yes, being a blogger is definitely lots of time and work. I too find that I don’t craft as more as I used to. Shame, but I also find the blogging part to be part of the fun. If you don’t already, you should apply for Google Adsense. It won’t be tons of money coming in, but it’s at least a little extra every couple months that helps. 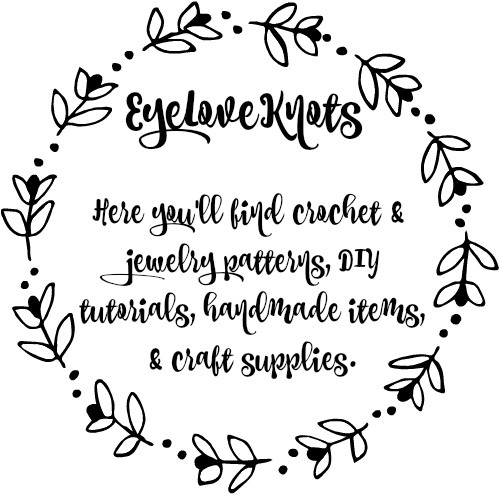 You can also try selling PDFs of your tutorials on Etsy or Craftsy – I sell mine for $2. Etsy charges $0.20 to publish a listing, but Craftsy does it for free. Thank you Alexandra. I’ll apply for Google Adsense asap. Thank you again for the encouragement. Blogging isn’t all fun and games, is it? I didn’t seriously try to start monetizing my blog until last year. That’s when I learned tons about page views, sessions, and the lack thereof. I had a site audit done by a great blog guru and made lots of changes, got serious about SEO, and began investing money into the back end of the blog. Still though, it’s crickets. My page views and session numbers are still dismal. I can’t apply to any of the ad agencies and can’t even get anything going with sites like IZEA or Linqia. I get the occasional sponsored post, but that’s not much. I enjoy sharing my projects with others and I love the connections I’ve made, but I’m going to re-evaluate the blog after the first of the year. It might be time to call it quits. Thanks for sharing your experiences with us at Snickerdoodle, Alexandra. I wish you lots of success! I just emailed you Beverly. Alexandra – It is so nice to finally read a more realistic view of the blogging experience. I’ve read those posts which make it sound like moonlight and roses – and lots of money pouring in,,,,and they never seemed realistic to me. This real view is very helpful – and I know you didn’t do this to discourage others, but to give us that real experience – at least to prepare others who might be considering a start in the blog world. I love reading your blog and hope you are able to keep it up.Your designs are beautiful and well thought out. Your patterns are awesome! and I want to thank you sincerely for all you’ve shared with all of us! I’d love to read an explanation of “Page Views” vs. “Sessions” – how do they differ? Is it length of time spent on the blog – or what? Just curious. I’ve ecen considered starting a blog – but don’t feel what I have to share would be of interest enough to make it worthwhile…. I wish you the very best! You deserve it and have, obviously, worked very hard at making a success of this. My wish for you is that you have a long, wonderful, happy life (you mentioned a recent engagement) so absolute success with your wedding and your marriage! I KNOW you can make a success of this because you have researched and spent the time on the basics and will keep on working it…..The ABSOLUTE BEST TO YOU! Your words as so incredibly kind! You SHOULD start a blog! It is so much fun, and easy to document things you’ve made, or places you’ve gone. I really enjoy looking back through my posts. And I would follow you 🙂 Since reading this comment awhile back, I have thought about the “page views” versus “sessions”. I don’t really know the difference myself, but I am going to research it, and work on a post about it! I am in the same boat. Although I am way downriver than you, lol. I don’t have nearly as many pageviews or sessions as you. I feel like giving up sometimes, and then a tiny affiliate sale brings me back whooping and hollering – at least for a little while. It’s hard to concentrate on just one thing, when really I want to do them all (Blog, YouTube, products, designing, living, you name it). I decided to step down a little. Blogging needs to be fun – that’s my no. 1 priority. And I need to be able to stay sane whiel doing so and to perform a good job in my dayjob. But I haven’t given up on my dream to earn a living blogging. One day for sure! It’s funny how the small affiliate sales bring such excitement and happiness. I am quite surprised that you have less traffic than me – your blog seems so busy, and full, and such fun projects! I will keep my fingers crossed for you (and me), so we can both live our dreams of being full time bloggers!